Property 56: Looking for:relaxation , tranquility and nature ? You have found the right spot! Chalet with leisure area for 01 to 10 comfortable guests, 2 bedrooms, 2 bathrooms. Property 60: Chalet with leisure area for 01 to 10 comfortable guests, 2 bedrooms, 2 bathrooms. Property 71: Exclusive beach house in Paradise. 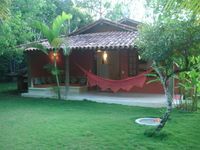 (3) Chalets Ubatuba102 700m from Itaguá Beach, air, garage and internet. Property 78: (3) Chalets Ubatuba102 700m from Itaguá Beach, air, garage and internet. TRANQUILLITY, COMFORT, SAFETY AND GOOD ASTRAL. Property 81: TRANQUILLITY, COMFORT, SAFETY AND GOOD ASTRAL. Property 82: Chalets 80 meters from the Curral beach in Ilhabela. Beautiful view of the sea. Property 83: Enjoy a romantic weekend in our cottage. Chalets in the midst of Nature to 2.4 or 6 people. Pets and children are Welcome! Property 85: Chalets in the midst of Nature to 2.4 or 6 people. Pets and children are Welcome! Chalet EL GECO, La Falda, Córdoba. Property 90: Chalet EL GECO, La Falda, Córdoba. Family vacations, travel with friends. The Zorzales House View of Whales. Property 91: Family vacations, travel with friends. The Zorzales House View of Whales. Chacras de Coria, casa con parque y piscina. Ideal para familias. Property 99: Chacras de Coria, casa con parque y piscina. Ideal para familias. A wonderful place to stay!!! We spent 2 nights at UXUA on the Quadrado and then spent 5 nights here. Maira, the owner was so wonderful to us! She made sure we had everything we needed and made several recommendations. Wireless internet available and we had a cleaning service come everyday! It is the perfect place to stay very safe and about a 5 minute walk to the Quadrado! Would definitely stay here again!